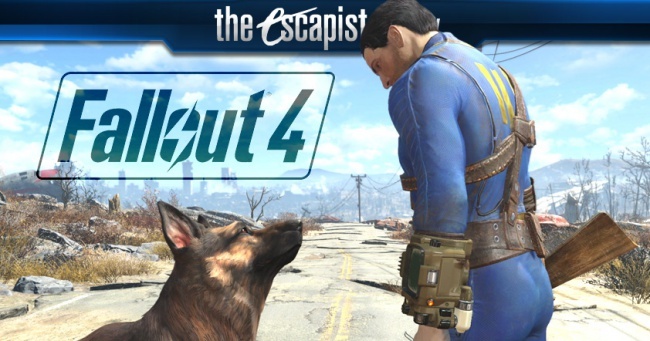 Developed by Bethesda Game Studios and published by Bethesda Softworks. Released November 10th, 2015. Available on PC, PS4 (reviewed), and Xbox One. Review copy provided by publisher. Fallout 4 is the latest installment in the venerable role-playing franchise revived by Bethesda in 2003. 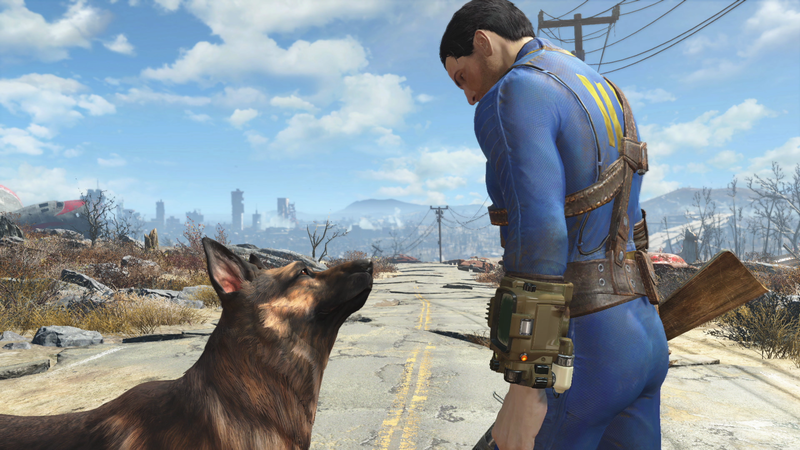 The fifth title in the main series, it introduces players to a previously unexplored region of the United States in the post-nuclear wasteland, The Commonwealth, located in the area surrounding Boston, Massachusetts. As the game begins, the military conflict known as The Great War is on the verge of ending civilization. 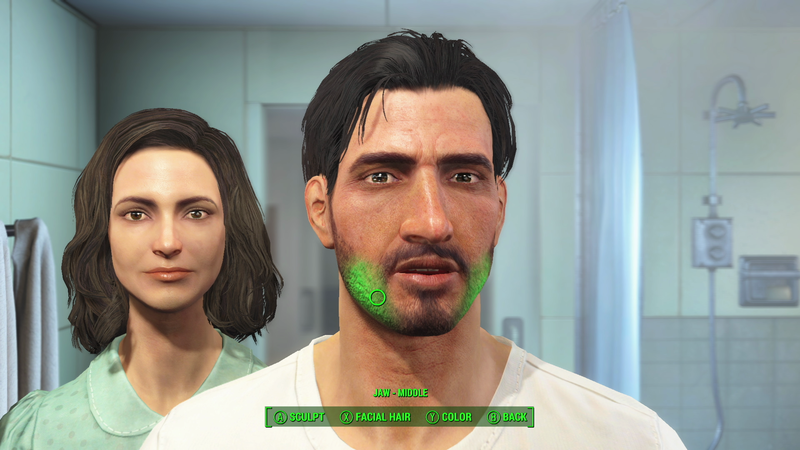 The player character is one of the adult members, either the mother or father, of a typical nuclear family in a suburban community, forced to evacuate to the safety of an underground shelter, designated Vault 111. Contrary to the hype, Vaults are not the comfortable continuation of normal American life they promise. In reality, they are a massive undertaking of social experiments performed by the Vault-Tec Corporation to determine humanity's resilience when faced with various forms of crisis. 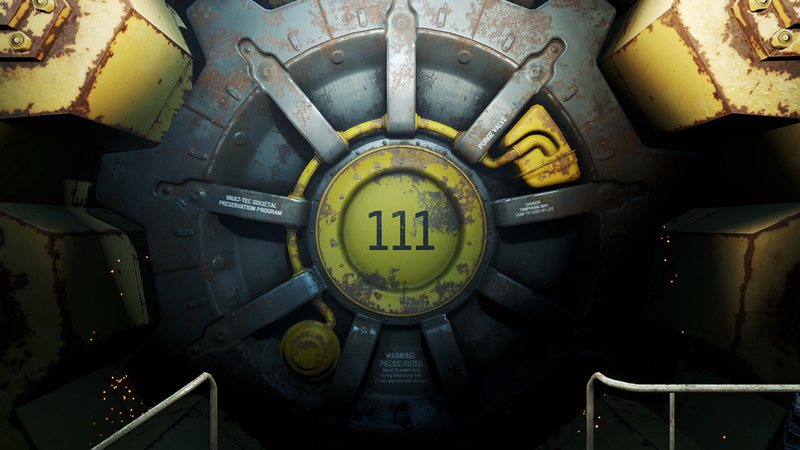 In the case of Vault 111, the experiment was intended to determine how dwellers would respond to having been placed in cryogenic stasis for the duration of a nuclear catastrophe, which is where the player soon finds themselves. Locked in a cryo pod, the only thing the player experiences for two hundred years is a brief period of consciousness, just long enough to witness the murder of their spouse and abduction of their infant son. The main plot arc revolves around the player character searching to reconnect with their lost child after emerging from this cold sleep. Starting out as a revenge tale before veering into less overdone territory, the plot is solid, easy to follow, and satisfying. 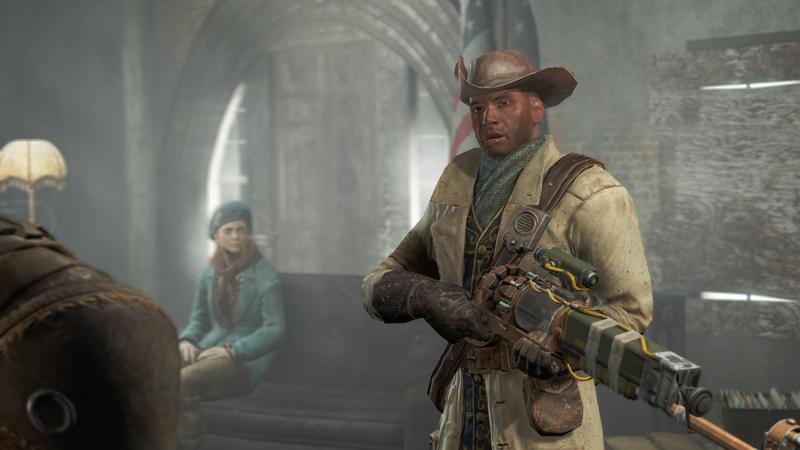 Fallout 4 plays thematically with the roles and responsibilities of being a parent, along with recurring narrative about mankind's capacity to persevere (central to the series from the beginning). The content is mature subject matter in the most literal sense and, while not always conveyed with elegance, the writers deserve no small amount of credit for the attempt. 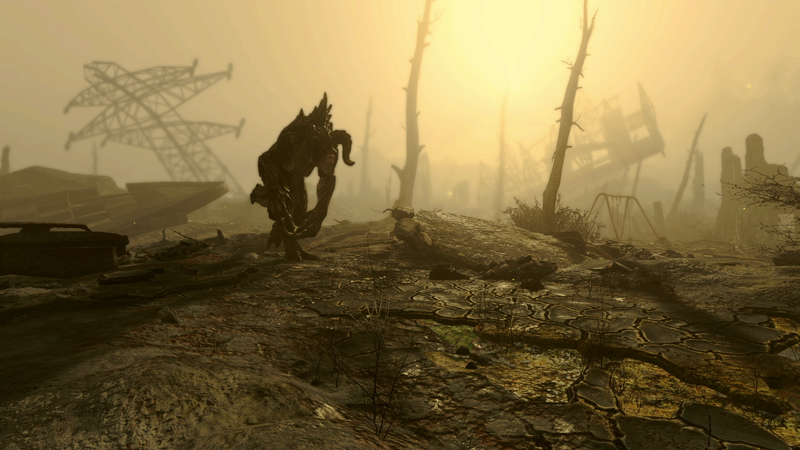 While the central stories of games in the Fallout series are typically decent, the real draw and largest source of storytelling is found by stepping off the beaten path. 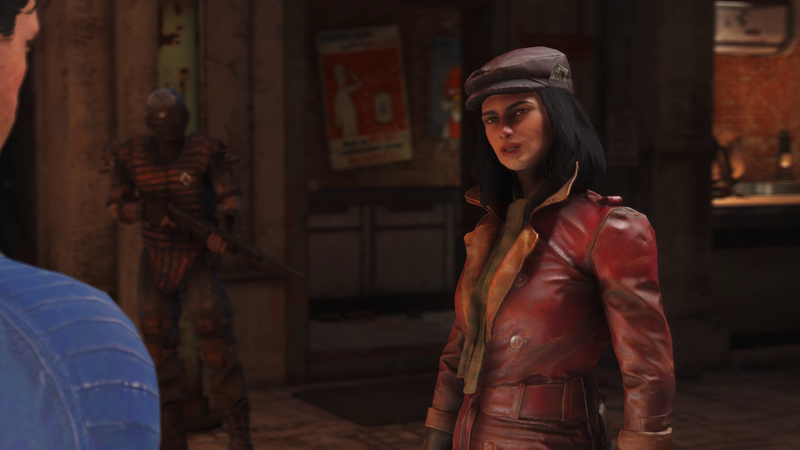 Exploring the Commonwealth will introduce the player to several organizations that have arisen with their own vision for what the world should look like as it rebuilds, each with a series of quests in service to their agenda. Other stories are told by the ruins themselves. The world is packed with bite sized looks at life both before and after The Great War, told through collected notes, audio recordings, or just the simple arrangement of two corpses atop a locked safe. Often silly, occasionally heartbreaking, they make every bombed out hovel look like an opportunity to learn a little more about this mad world. The Commonwealth region isn't enormous, geographically speaking, but there's hardly a shortage of places to visit and travel time between locations of note is short even in the outlying areas. Boston itself is densely packed with ruins to explore, and some excellent environment design addresses the practical limitations of building an explorable city within an open world. While a high percentage of the buildings in the city cannot be entered, they are still functional as more than set dressing. Fire escapes and other stairwells provide access to rooftops which offer additional navigation options and lots of ambush opportunities for raiders. This combination of urban density and vertical access meshes well with the series' gradual transition to more action-focused gameplay. War Never Changes. Fallout Does. 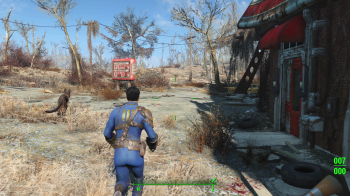 For better or worse, Fallout 4 is all about combining and simplifying previously established game systems. Many of these changes are welcome, particularly when it comes to the HUD and user interface. The constant activity of looting ruins and corpses has been made much more pleasant by displaying the contents of a container and allowing individual objects to be collected without having to enter an independent menu. Radiation damage is now reflected as reducing a character's maximum health (conveniently displayed as a red bar on the HP meter), and while limbs take individual damage, repairing crippled limbs no longer requires specific attention beyond taking a Stimpak. 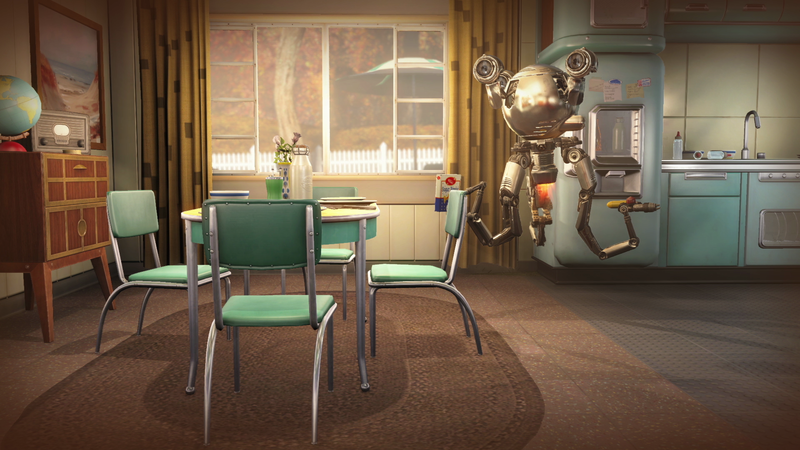 Players can also use the Vault-Tec Automatic Targeting System (VATS) in combat, a tool which slows the action to a crawl and lets the player target specific body parts. 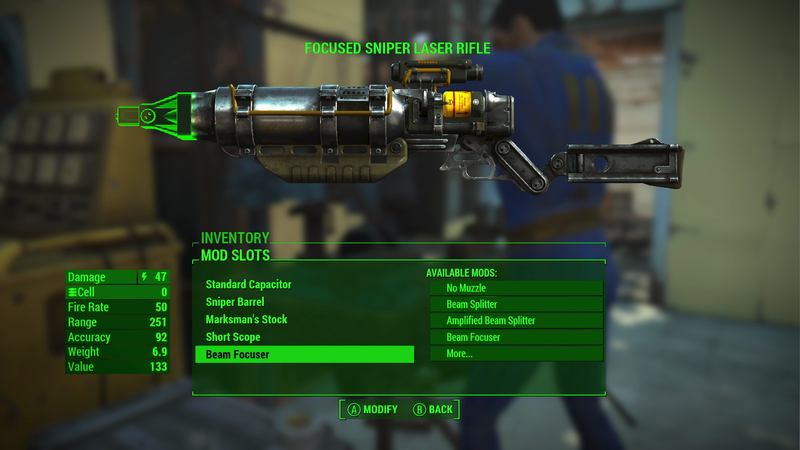 VATS has been augmented in Fallout 4 with a new critical hit system. Successful hits add to a meter which, when filled, allows the player to designate an attack for a guaranteed hit with bonus damage. 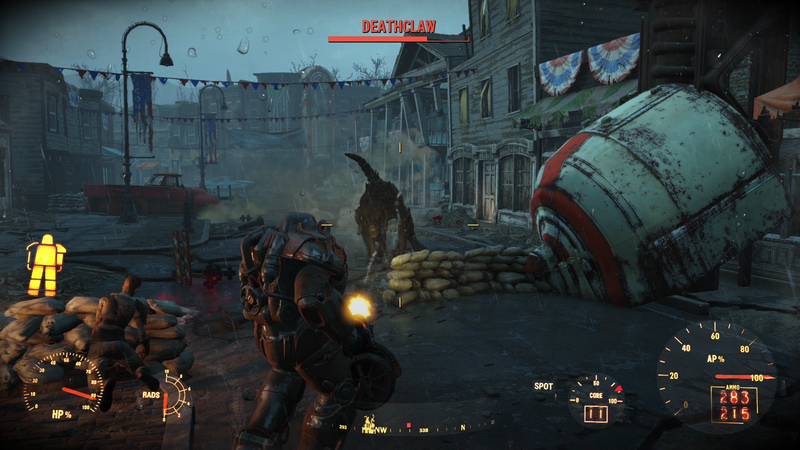 This new mechanic adds an additional layer of strategy to VATS and makes using it a more engaging experience, as critical hits are performed after the combat action commences and can be timed for maximum effect. The problem with relying on VATS is that it's statistically expensive. Each shot depletes a pool of Action Points based on the character's Agility rating, while the chance of a shot's success is drawn from their Perception. Depending solely on the automatic targeting seems practically impossible without very high ratings in both of these stats (and a few key Perks), severely limiting the range of character builds for players who may prefer to keep twitch shooting to a minimum.